← “Who Will I Be” Through the Eyes of a Runner. 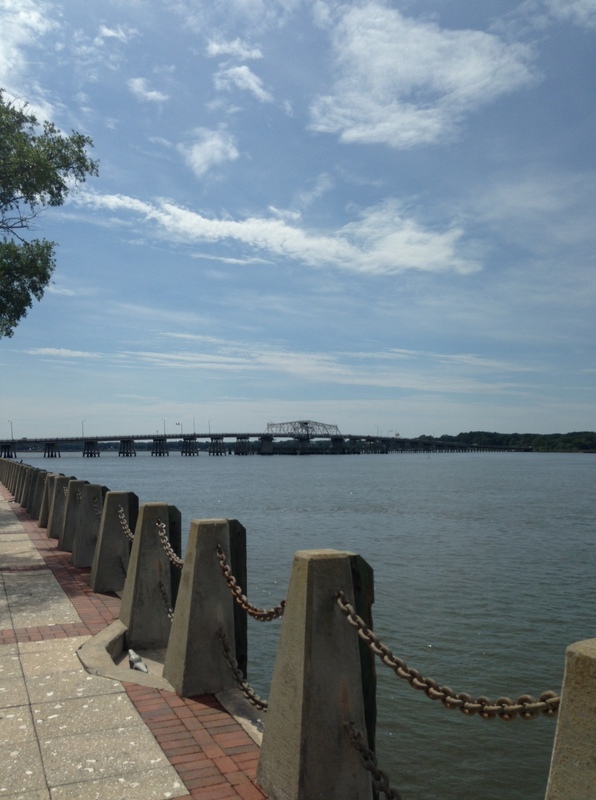 Beaufort, South Carolina Through the Eyes of a Runner. The salty sea breeze wafts over from the Port Royal Sound as my feet pound the tabby sidewalk along the waterfront. The people relaxing on the porch swings held up by vine covered poles wave and smile as I run by. The bits of conversations I catch are nothing but joyful. The shops of town are busy with tourists, locals, and immaculately dressed southerners enjoying the beautiful weather of this Wednesday. 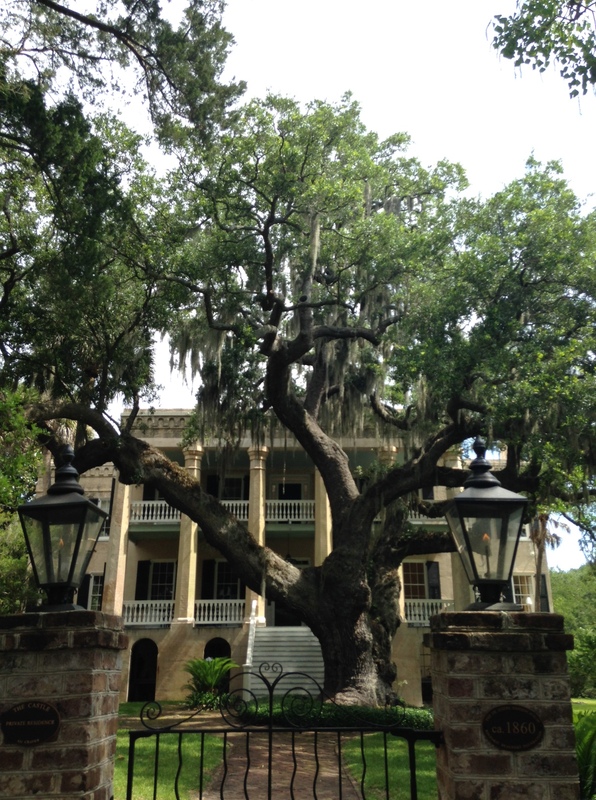 Entering the historic district, I am greeted by large, beautiful homes that whisper their well established stories with each Spanish moss covered tree and white pillar. The beautiful Haint blue painted porch ceilings that are said to ward away the bad spirits and ghosts and give a southern charm to the large, beautiful, expansive porches. However, in this perfect little town, I cannot image any bad spirits or ghosts that need to be warded off. The peace here is unbelievable. 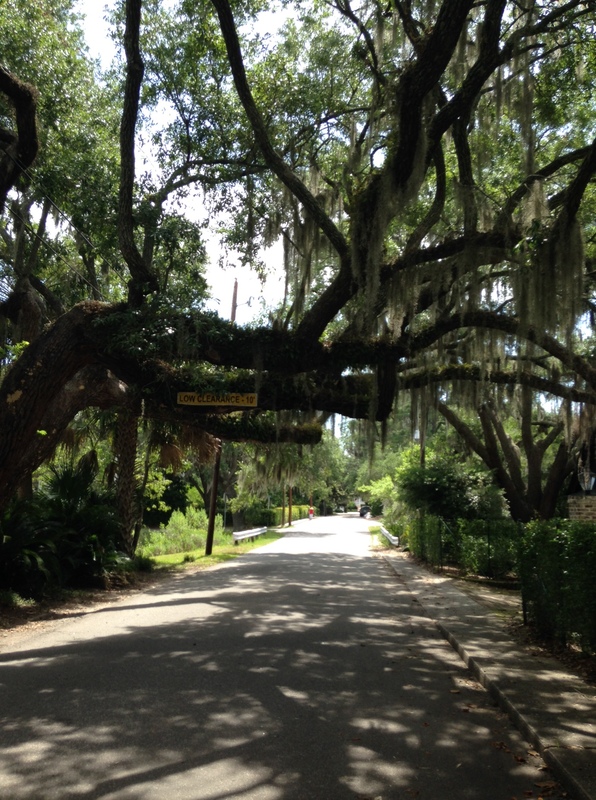 Running under the bridge created by the Large Oak trees covered in the draping Spanish moss is magical. These covered streets are not littered with modern conveniences or cars. There is a tranquility here. An acceptance of nature and the beauty it brings. It is such a nice break from the city and the busyness of our world. The sky whispers through the trees, along the sound, all the way to the ground. You can feel it. Here in Beaufort there is a connection. The Edgar Fripp House, best known because it was featured in the Big Chill, Forest Gump, The Great Santini, and The Prince of Tides, stands out amidst the marsh and sound. The grandiose architecture takes my breath away. All of the Sound View houses do this to me. I love it here. I think I have fallen in love with the south and in particular, Beaufort, SC. Running by the smaller houses along Lafayette Street and Pigeon Point Road, I am greeted by the happy faces of homeowners out mowing their large lawns and trimming overgrown shrubs before the probable short afternoon storm rolls in. As I come into view every single person stops what they are doing, smiles, and waves at me, and if they are in earshot shout hello. The warm sense of community here is evident in these loving encounters. Pigeon Point Park is full of mothers and their toddlers enjoying lunchtime on a beautiful playground. The laughter that rings out in joy is better and more energizing than any music I could ever play on my iPod. Now, as I sit in a wonderful, perfect small town coffee shop, Common Grounds typing this and looking out over the sound, I sip my coffee latte and smile. The elementary and high school teachers in wicker chairs at the table beside mine chat about the joys of having the summer to relax and enjoy life here in Beaufort. I can see why this would bring them such joy. I wish I could have all summer to enjoy life here. My 10 mile run in Beaufort, was quite beautiful. Beautiful Beaufort. With that, I shall say goodbye, because I have much more to explore before I leave this afternoon.